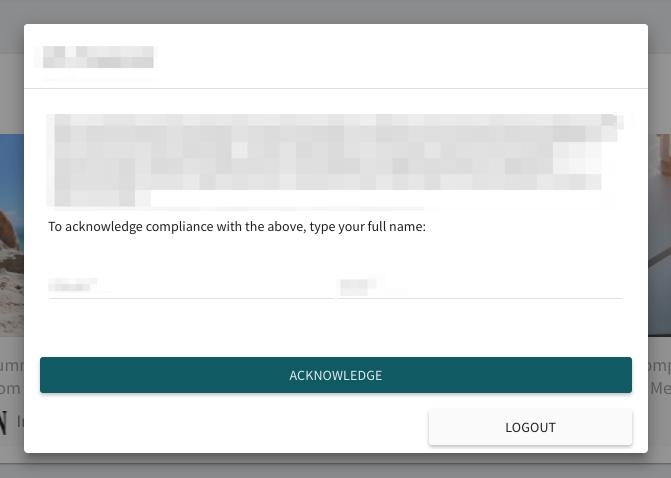 Organization may add an access agreement that new associates have to acknowledge by typing their full name. If the associate does not acknowledge the access agreement language, they will be logged out. If your access agreement changes, you may request a reset of acknowledgements by contacting success@gainful.ly. The access agreement language should highlight any compliance- or business-centric policies required by your organization. The agreement may not conflict with the Gainfully terms of service, available at https://gainful.ly/terms.